I am going to start this post by saying that there was nothing wrong with All About Reading to begin with. It has been our favorite reading program for years with all three of my children having worked in various levels of the program. The black and white materials have always worked well for us and there was a certain charm to the readers with their scrapbook-style decorations and appealing line drawings. So when I saw the color versions of the program, my initial thought was, “Well that’s cool” but little more. My kids on the other hand took a different view. So the color editions of All About Reading have been a ton of fun. It doesn’t stop there. The color editions of All About Reading have also been super-helpful. I didn’t realize that there were times in my haste that I had been using the wrong color tiles. There aren’t many situations where there are multiple copies of a phonogram, but in the few cases that there are, it is so helpful see quickly in the color teacher’s manual exactly which tile we need to use. It also makes it more likely that I point out both tiles and talk about the differences in them. It’s a small thing, but an important one and it just makes my life as a teacher that much easier. As with all of the All About Reading products, the new materials are made with care. One of the first things I noticed about the new books was the feel of the paper. The color in the readers has been added using colored pencils in a soft-style that complements the favorite artwork that we have come to know and love. One of my favorite things about the readers is the appeal that the stories have to a wide range of ages. Since I have a struggling reader, he is reading some of these tales at older than many other kids. They are not babyish and they still capture his attention. He laughs often. I am happy that the addition of color was done in such a way that it doesn’t detract from the stories’ appeal. Got questions? Here are some things you might be wondering with answers from All About Reading. Q: Will my current editions work with the new color edition? A: YES! If you already own a current version of All About Reading, there is no need to upgrade. The new Color Edition materials can be correlated seamlessly with the current black-and-white editions. Easy-to-use Correlation Guides for all levels will be available on our website after the new edition is released. The only exception to this is Level 1/1st edition which does not correlate with either the 2nd edition or the color edition. Q: How much will the new edition cost? 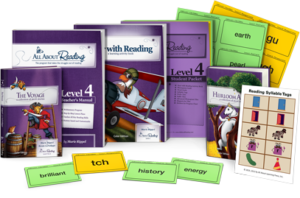 A: The cost for all complete sets of All About Reading will go up $15. Prices for individual components will also increase. Q: When can I order the All About Reading Color Edition? A: Now! The new color versions are ready to ship. Q: Can I still get the black-and-white versions at existing prices? A: Maybe. All About Reading can give you the name of a retailer who still has black and white editions in stock. Q: Will you continue to carry black-and-white versions after the color edition is released? A: No. Black-and-white editions of Levels 1-4 will only be available until January 9, 2019. After that date, we will give you the name of a retailer who still has black and white editions in stock. Q: I just bought a level of the black and white version. Can I get the color edition instead? A: Yes! Because of our 1-year money back guarantee, you can return your black and white version for a full refund (even if it’s partially used!) and order the color edition at the new price. How cool is that! That fabulous return policy has always made AAR one of my favorites. Now for the fun part. 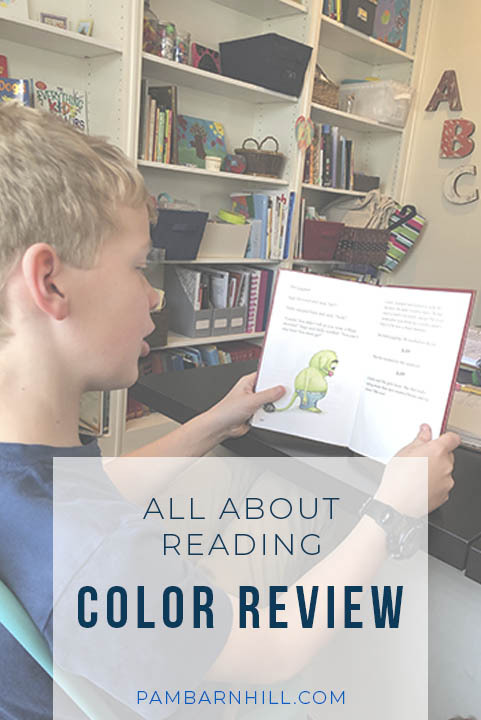 All About Reading is letting me give away a level of the new color All About Reading! The winner will get to choose which level and you can enter below to win. We have been using AAR for the first time this year for our 1st and 2nd graders and we have all enjoyed it! How exciting to see it in color. We have the first two levels, so I’d love to win either Level 3 for us, or Level 1 for my sister. I love the b&w versions and love them, but I know my boys would get a kick out of the color version. We’d love to win Level 3! I have a visual learner, so color is key! I would love to win Level 1. We love all about reading too! We have levels 1-3 and would love level 4 in color. We are almost done with the pre-reading so level 1 would be perfect for us! This is SO timely! We are wrapping up AAR Level 2 with our 9 year old. 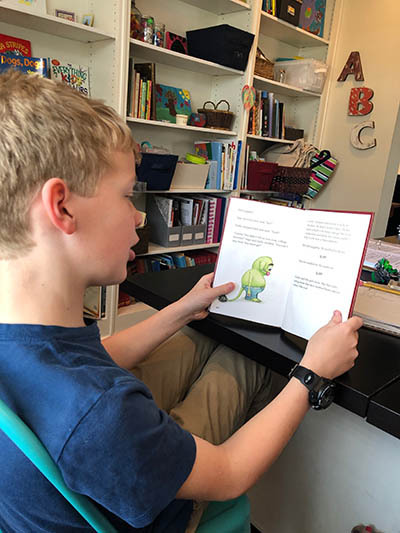 He is tiring of it but it works well for him and as a reluctant, struggling reader, we also enjoy the readers being delightful for all ages. The color versions will be something new for him! We need Level 3! This is a really tough question. I have never used All About Reading, and I am thinking of making the switch. I have a 1st grader who is probably somewhere in level 1 and then the twins will behind her in another year (they all have winter birthdays). I think Level 1 would be a really good place to start. Thank you! We’ve been using AAS, would love to try AAR! 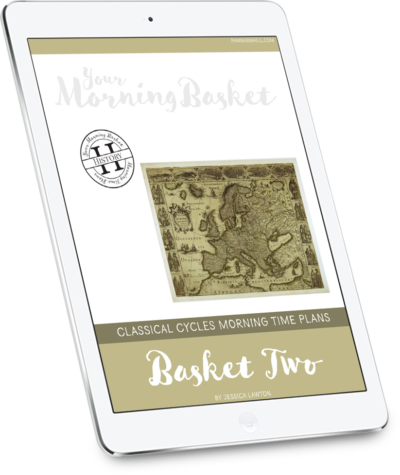 I have two readers currently working with levels 1 and 2 so I’d love to win level 3. I’d love to win AAR level 3! I would love to win Level 3! We just finished Level 1 yesterday, so we’re ready for level 2! I have been looking at AAR for a while now and would love to have level 1! I would purchase Level 1. So exciting! We adore AAR and just started AAS this year. We’ll be excited for AAR level 3 in color! We would love to win a level 3! Thanks for hosting this giveaway. We use all about spelling. Would love to try all about reading also! I need to replace my level one first edition! We currently are using the B/W version, Level 2 and LOVE it! So, Level 3 would be perfect! We’ve used Level 1 & 2. It’s been amazing! Would to win Level 3! We LOVE AAR! My 6 yo is almost done with Level 3! I would love to win level 3 for my twin girls! I would love to win Level 1 for my son. We would likely need Level 2 or 3 based on what I read… we’d take a placement test to decide! I’ve been so tempted by this program! We would probably pick level 1 or 2! We have Level 1 and Level 3 and as first year homeschoolers we have really really enjoyed it!!!! We don’t have a good reading program… I’d love to try out level 2! I would love to win Level One for my son. I used AAR with my daughter and sold it when we were done. I wish I had kept it now. Love the color edition! I have been looking at the level one AAR for my next reader. 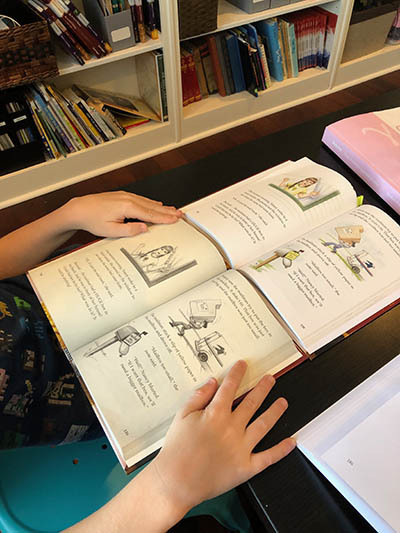 I have used a combination of phonics and Charlotte Mason style reading lessons for my other children but am looking for something a little more open-and-go for the younger ones. 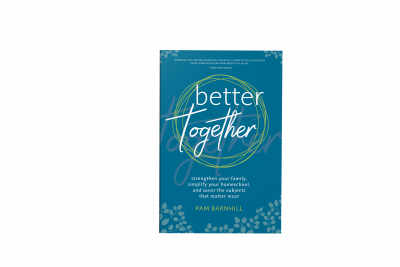 I say, if Pam Barnhill loves it, then I know I will love it!! We are about half way through level one right now and it is the ONLY program that works for us!! Well, the only of the several we tried. We are using Level 1 now and would love to win a new Level 2 set! Love AAR. Would love to experience it in color! AAR has been a lifesaver!! Reading lessons went from frustrating tears to happy smiles 😊 Level 3 is up next! We are using level 1 and love it! Such a great reading program. We love AAR! I wish we had started with this reading program our first year in homeschool. I would love to win level 3. New to AAR and I absolutely love level 1 & 2!! Level 3 would be perfect! I love AAR and would love the new color version Level 4! I would choose AAR Level 1. I own and recommend Pre Level 1 and Level 2! We love AAR! I think I’d get Level 2 if I won. I’d love to win either the pre-reading level for my 4 year old, or the level 1 for my 6 year old. I would love to win Level 2! I am using AAR with my dyslexic daughter, and we really like the program. It would be great to win the next level for her. We’re finishing up Level 2. Would love to win Level 3! I would love to win Level 1 for my first grader! It looks awesome!!! I would like to have level 1. I LOVE AAR and have used it for years. My kids’ only complaint has been wishing the books were in color. I am so excited for this update! Level 2 would be fabulous! Just starting out with All About Reading, would love to win Level 1. We have level 1& 2 so would love to win level 3! 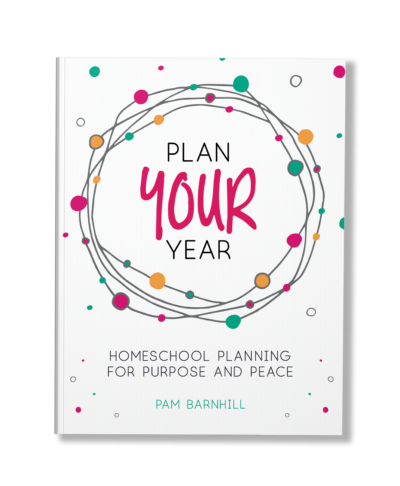 Switched to AAR middle of my first year homeschooling this year. I am hoping to win level 2 for my 9 year old dyslexic son. Their pre-reading set was already on my list for this year! Thank you for another great recommendation. Your picks are always solid! We’d love to try the 1st grade level addition if we win. Thank you. We used AAR pre-reading and loved it. I’d love to try the AAR Level 1 in color! Love All About Reading- Would love to get the next level for my kids! I already own all four levels from years ago when my youngest two were little. I can’t stand to part with them permanently, so I lend them out to parents I know to save them a bit of money. I’d mostly want to win so that I could gift someone a level and it be all their own. As far as the level I’d want? Probably level one. But it would depend on who I decided to gift it to. I have looked at this program and would like to try it! Love the new color update! I would pick level one. Would love to win Level 1, as we are currently working on Pre-reading and loving it! We have used AAR and AAS from the beginning. We are currently in AAR level 3 and would love to get the new level 4 color edition!! I love AAR. We have level 2 and I am waiting for AAS to come in the mail. I’d get level 1 if I won! I’d love to win the pre reading level, or level three! We have level 1-3. So I would love to get level 4. We use all about spelling but haven’t tried AAR we’d love to win level 1 or 2. We love this program. We would chose level 2 to continue our progress. Level 1 all the way. Keep the littlest ones engaged. We can’t wait to order our next level in color! Thank you for showing the readers next to each other, it was nice to see the color of the pages compared. It looks like it’s amazingly high quality. I would love to win level 2 for my daughter. She’s almost finished with level 1 and has really enjoyed it. I know she would love the color version. I would choose level one so that I could start at the beginning with my youngest. Yay! I need Level 4! Oh this would be a delight! Level 4 for us! Would love to get level 1 for my daughter! I’m planning to use AAR this coming fall with my son who will be in first grade! I would love any level! I have never tried AAR. I’d pick level 3. I have some of level 2 and I’m working through level 1 right now. We love AAR Level 1, would love to win Level 2! I’d love to win level 1! Thanks for the giveaway! Either way I’m looking to get All About Reading level 2! We would be so grateful to win level 1! Our youngest would love it! AAR is a wonderful program. Our daughter will be completing level 3 shortly. She loves reading and is looking forward to level 4. I would love Level 1. We’ve used AAR for both of my boys. I’d love to receive level four since we have the first three levels. I would love to win Level 1 to try with my son! I would love to win level 1! I have 3 more to teach to read. I’m sure they will love the color version, but I agree Pam, the black and white is just so amazing already! I have Pre-reading and Level 1. I would love to win Level 2. We’d love to win level 1 for our 7 year old who is struggling. Thanks for the opportunity. I would love to win Level 1 in color! We need level 3! We have loved levels 1 and 2! I can’t wait to try this with my two youngest kids. I love your blog. Your tips are always helpful and given with young children in mind. I’m currently working through pre-reading with my son, I’d love to get a copy of level 1! I’m new to AAR but I’d love to give it a try with level 1. 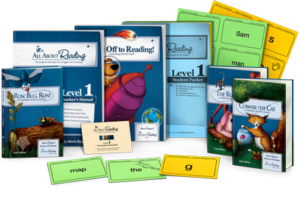 My son is nearly done with the pre-reading level, and we would be so excited to win Level 1! I would need level 1. This looks like a neat program. I’ve been on the hunt for something long-term that my children would take to. They need a regimented, reliable, almost predictable type of program. I’m guessing this would fit? We love AAR! Having it in color make it so much better for my kids. I would love to win level 2 for my youngest. This program is great with my eldest daughter. We’d enjoy picking level 4 if we were picked. I would love to win level 4. AAR has been fabulous for our daughters! We have level 1 so I’d want level2! Our son is almost 7, in 1st grade, and is not yet reading. 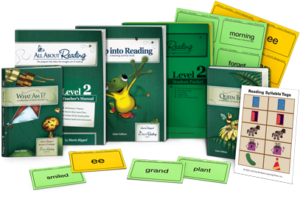 We tried 3 different basic phonics programs and then I found a used set of the AAR Pre-Reading set. We started it in January, after Christmas, and it has been wonderful! My son is finally having fun with school and his confidence is growing. He absolutely LOVES the puppet portion of the lesson. Since we bought the set used, Ziggy did not come with it. But, we used one of his stuffed animals. I use a silly voice and work indirectly through the stuffy, “Ming”. Ming tells my son how smart he is and how much fun it is to work with my son on reading. I do hope to win level 1so that we can stay on track and teach my son to read! Level 1 would be wonderful! Thanks for sharing! We are going to start homeschool next week, and I’m searching for reading material for my 6 year old. COLOR is WAY better! 🙂 Keep up the good work. I’ll be following your blog. We use AAS and are about to begin AAR2. I love the full color! I’ve heard great things about this curriculum and would love to try level 1 with my son! Thank you for the chance to win. Level 1! 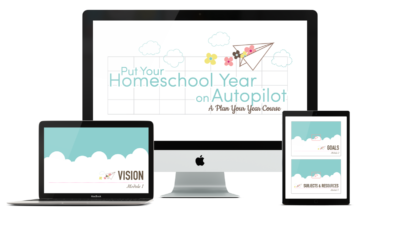 We will begin our homeschool journey this fall with our 5 y/o and his two younger brothers will be right behind him. Would love to win level 1! Excited to start AAR this fall! I have been using AAR for 2 years with my dyslexic daughter. Finally we are learning how she learns. I want level 1 for my son. Would love to try level 1! New reader in this house.. Level 1! I’d love to win Level 2! My struggling 8.5 year old reader would be just right at level 2. Kindergarten! 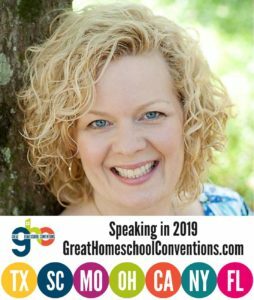 Just started homeschooling this past year – next year is our first year of Kingergarten with our newly 5 year old! I’d love to win level 4! I think either level 1 or 2 would be best for us. I would love level 1! I have been seriously tempted to purchase All About Reading for my 6 year old. I have used so many different curriculums over the years, so I’ve been hesitant to spend a bunch of money on yet another one. We already own 3 levels. So, got the 4th in color. I did also order color activity books. I have 1 more child at the beginning, who would love color from the start! Level 1 would be great! I would love to win level 1!!! Thanks for your review! We will definitely be purchasing all about reading! I am so excited to see the color editions of AAR! My kiddos have loved the black and white version, but I know one kiddo would love a color edition! I would love to win Level 1! We have recently started using the new color edition and love it! We already have All About Spelling and my kindergartener LOVES using the letter tiles to spell! We haven’t tried AAR yet! Probably level 1, I just found this and have three kids, and I haven’t done placement tests yet. We haven’t used it before so we would start at level one. I have wanted to start this program for a while now. This would be the perfect opportunity for us to get started! All I hear is such wonderful things about AAR! I can’t wait to see for myself! Love AAR and AAS. Can’t wait to see the new version! I have been looking at AAR for my next up child in line for reading. We have used 100 easy lessons and The Reading Lessons for my other kids, but looking for something new to change it up. 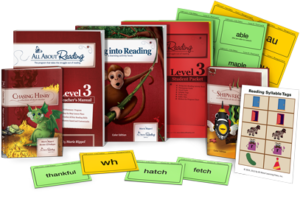 I love using our All About Spelling, and I would love receive the All About Reading Level one. Please, please, please let me win!!!!! We finished our other reading curriculum and are in search of the next one! This could be it! I have taught 2 of my sons to read already but my 3rd son struggled with the program we had used before and seemed to have a harder time grasping and retaining the phonograms. 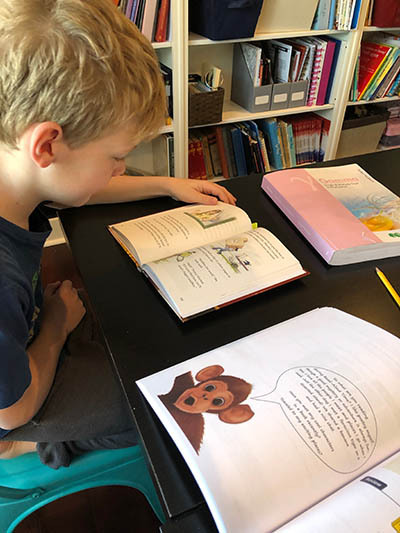 We are using All About Reading with him and have seen the improvement it has made with his comprehension, a decrease in frustration since the words in readers can ACTUALLY all be decoded and read. We still have a ways to go but the thoroughness has helped. Even my older son has picked up on rules he was never taught before! Just finished level3 with dad snd about to start level 1 with dd!